Solve It! What is the relationship between MP and AB? How do you know? Solve It! What conjecture can you make about the relationship between LN and AB? Problem 1 Got It? In triangle XYZ, A is the midpoint of segment XY, B is the midpoint of segment YZ, and C is the midpoint of segment ZX. Represent this information in a diagram on the canvas. 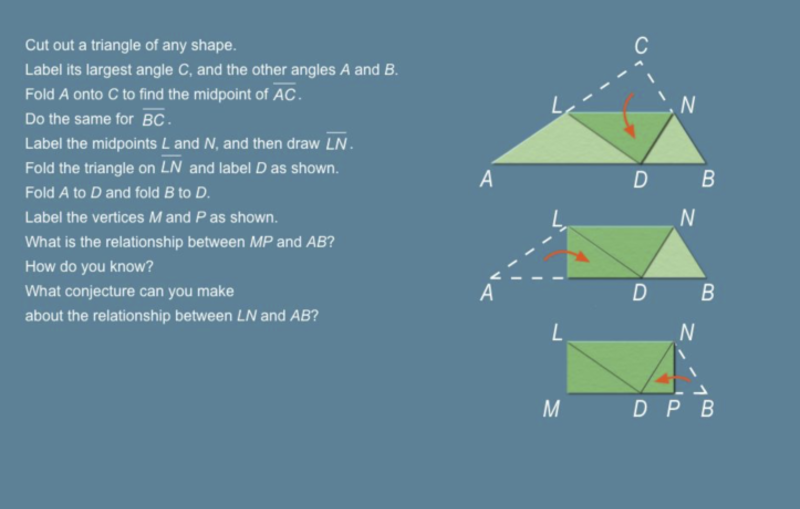 Match the three pairs of parallel segments. Problem 1 Got It? Reasoning: What is m∠VUO in the figure? Enter only a number. 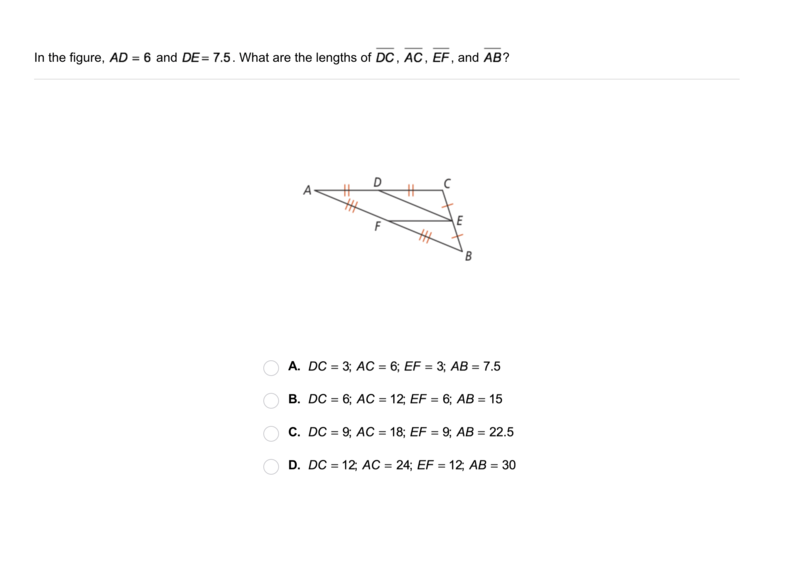 Vocabulary: How does the term midsegment describe the segments discussed in this lesson? Reasoning: If two noncollinear segments in the coordinate plane have slope 3, what can you conclude? The segments bisect one another. Error Analysis: A student sees the figure and makes the following conclusion. 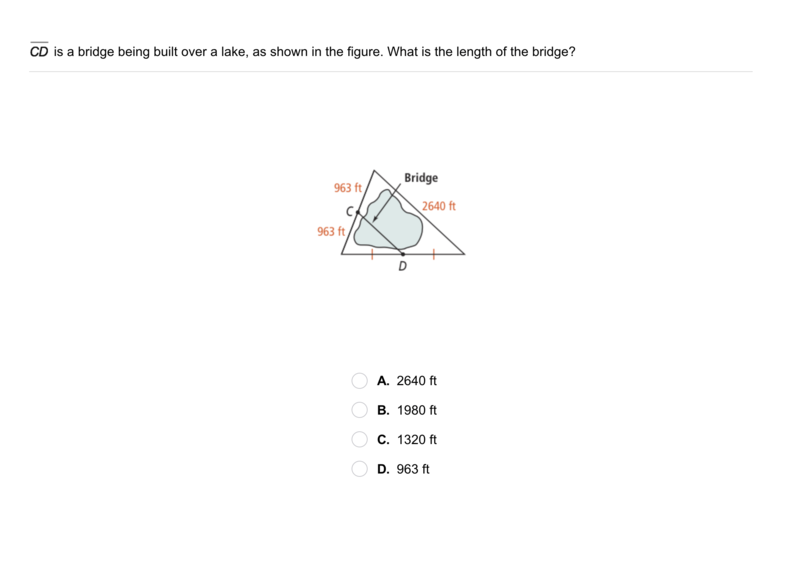 What is the error in the student's reasoning? 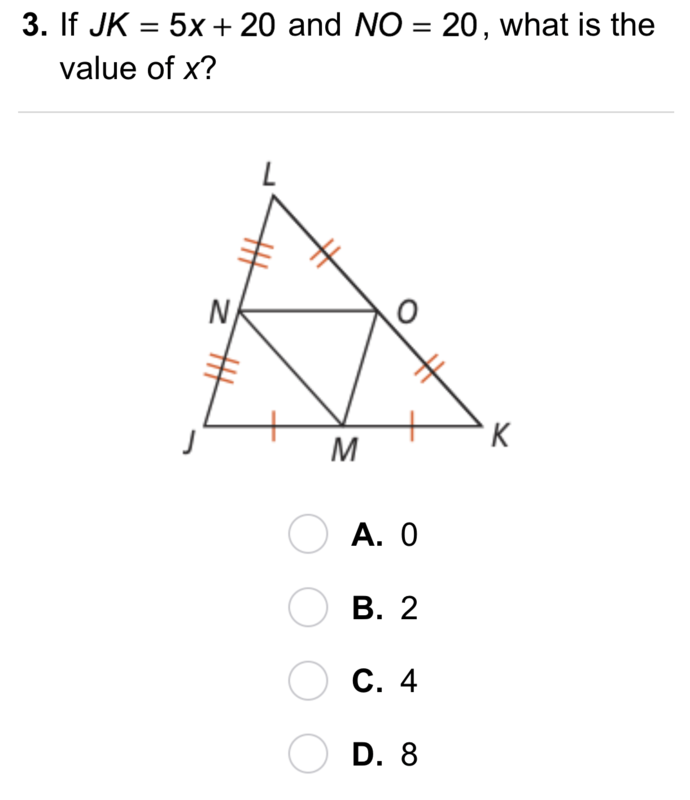 Review Lesson 4-7: ∠1 ≅ ∠2. 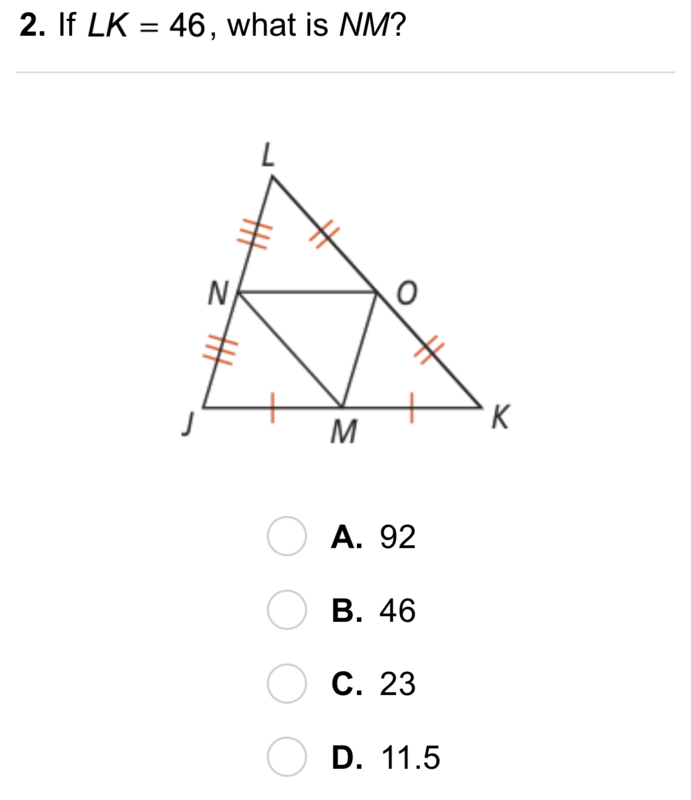 Match congruent triangles from the figure. 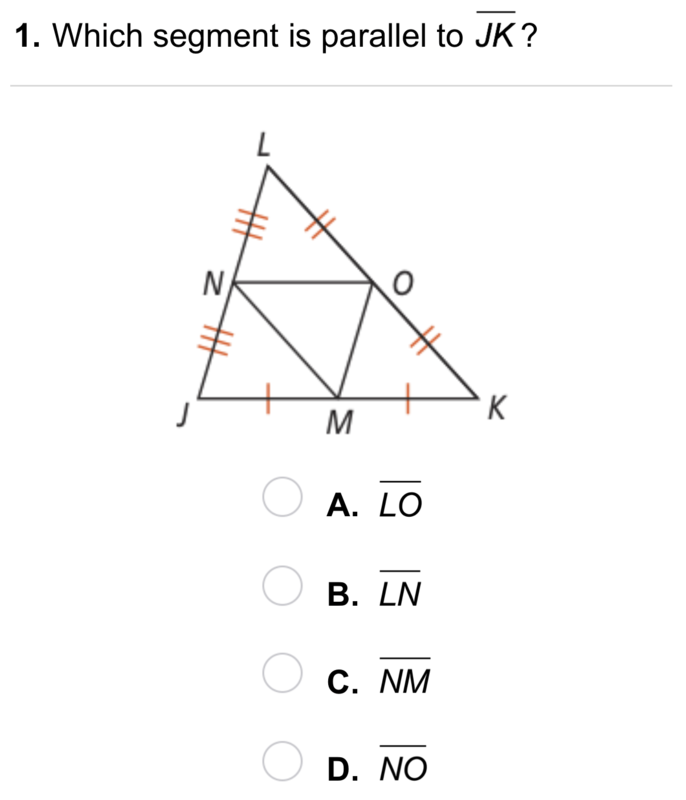 Review Lesson 1-5: Segment TM bisects ∠STU so that m∠STU = 5x + 4 and m∠MTU = 6x - 2. Sketch a diagram to represent the given information. Screenshot your construction and upload it to the canvas. Remember to leave any evidence that indicates your method of construction.